PokerStars have revealed their provisional schedule of events for this year’s Spring Championship of Online Poker (SCOOP) – although the poker room are asking for feedback and input on the planned tournaments from their players before the timetable is finalised. 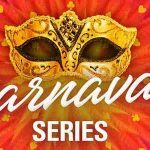 The initial schedule includes 38 events – with each comprising three levels of buy-in for a total of 114 tournaments – that will kick off on Sunday, May 6, for 15 days of poker action that ends with the main event on Sunday, May 20. PokerStars aim to encourage as many players as possible to take part in SCOOP 2012, with buy-ins available at low, medium and high levels on each event across all variations of the world’s greatest game during the festival that is once again sure to provide incredible and enormous prizes. The first event begins at 11:00 ET (Eastern Time Zone) on May 6, when players will take part in No-Limit Hold’em Six-Max tournaments that possess buy-ins of $27, $215 and $2,100, while the closing main event – on May 20 at 14:30 ET – will features buy-ins of $82, $700 and $7,500. 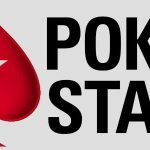 No guaranteed prize pools have been made available yet, while PokerStars also emphasised that the schedule of events can still be amended once a period of consultation with players has ended. As such, the poker room have asked for players to contact their Tournament Teams with any ideas they have for the calendar of events by sending emails to scoop@pokerstars.com. 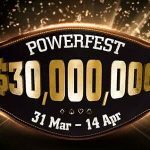 If you need any evidence of how impressive the payouts can be during SCOOP 2012, last year’s main event provided Finland’s Sami ‘Lrslzk’ Kelopuro with $505,000 for his high stakes win following a five-way deal, while over $40 million in total was paid out to players during the whole of SCOOP 2011. There is also a good chance amateur players will come against some of the biggest names in poker, with Kelopuro outlasting the likes of Team PokerStars Pro members Joe Hachem, Nacho Barbero, Ville Wahlbeck, Jonathan Duhamel, Johannes Strassmann, Noah Boeken, Leo Fernandez, Alexandre Gomes, JP Kelly, Lex Veldhuis, Viktor ‘Isildur1’ Blom, Humberto Brenes, Maxim Lykov, Sebastian Ruthenberg, Bertrand ‘ElkY’ Grospellier, Ivan Demidov and Liv Boeree to claim the cash and title. 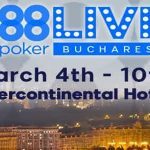 If the prospect of sitting down at a virtual table to face up to players of the calibre mentioned above doesn’t excite you, then surely the chance to add big bucks to your bank account is more than enough reason to sign up to some of the 38 events. 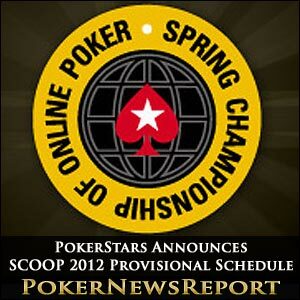 With that in mind, PokerStars will be announcing satellite events for SCOOP 2012 within the next few weeks. Of course, we at Poker News Report will keep you updated on any alterations to the schedule, as and when any changes are made. It should be noted that the numbers in brackets refer to the level of ticket acceptable to gain entry to a particular tournament, from (1) representing Step 1 tickets all the way up to (6) for Step 6. Additionally, players aiming to take part in any of the events should be aware of several important factors. Firstly, 2x-Turbo tournaments offer 60-minute rebuy periods, which is double the regular for turbo events, while SuperKnockout events include equivalent buy-in and knockout amounts. For example, in Event 8 (low), $13 will be added to the prize pool while $13 goes to the knockout pool and there is a $1 rake for a total buy-in of $27. Also, in Ante Up tournaments, the blinds do not increase at all, while 2x Chance events will see players able to rebuy once after busting out. The 1 Rebuy/1 Add-On events allow players to rebuy at any point during the rebuy period, no matter the size of a player’s stack, while the Big Antes events will see antes included from the first hand onwards. 14:00 ET, Event 35 (low), $27 (2) buy-in H.O.R.S.E. 14:00 ET, Event 35 (medium), $215 (4) buy-in H.O.R.S.E. 14:00 ET, Event 35 (high), $2,100 (6) buy-in H.O.R.S.E.